I see you have stumbled upon this blog so let me give you an idea of what you can find here. To begin with i’m jobless and totally, utterly bored twenty something year old who decided to create this blog just so that I have something to do. I intend to post whatever my imagination can come up with; my views on various things in the world, my opinions on books, music, movies and may be a peek into my interest in photography and story writing. Here’s to hoping the things here wont bore you to death!! Thank you for stopping by. Glad to hear you like my posts. Hope you have a good day and a great week. I agree. Since i started the this blog I have something to look forward to; boredom has reduced by leaps and bounds.Thank you for stopping by. Hope you like what you see. I really liked your blog, what took me there was the black and white photos, always had a special love for it. Haha, I guess fans of music everywhere have similar habits. 🙂 I too don’t waste time on boring songs but there are some slow songs that wont make you sad, will post those too sometime in the future. Ohh, I know how hard it is to shoot those photos. It takes more effort to get a good b/w image. Hi! I just wanted to let you know I nominated you for the Liebster blog award. It’s an award for smaller blogs with 200 or fewer followers. More information at the link below. I am all the above too. Twenty-something jobless nutcases unite! Getting rid of boredom..no no..if you do such a nice job just to get rid of boredom..I cant imagine how wonderfully creative you are once you are in full swing. 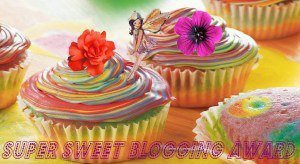 Lovely blog and thanks for liking my blog too.